1. Turn on "Add private notes"
The private note functionality is activated by default under your Gmelius dashboard. Make sure it is activated in your settings. 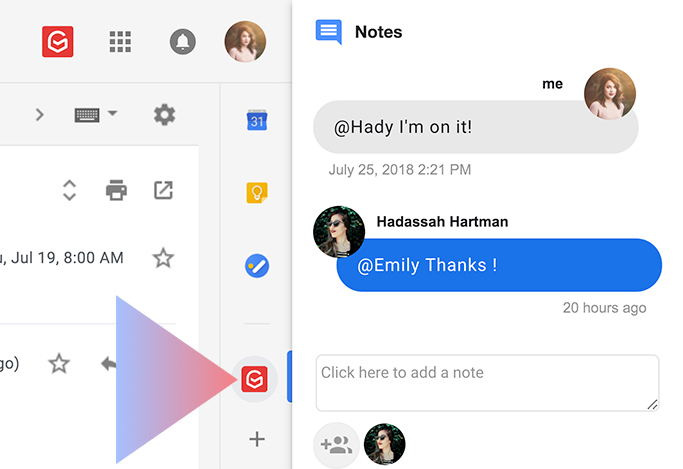 When you open an email, you will notice a widget on the right-hand side of your message, where you can add private notes. In your inbox view, you’ll notice that email threads with notes attached include a blue note icon before the subject line. You can preview notes by hovering over the icon. 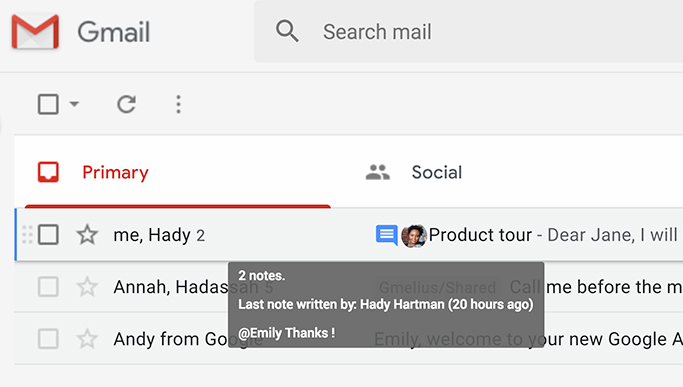 Notes are searchable using the regular Gmail search function. Simply type a word belonging to the body of the note within the search box and click on the corresponding entry.